Business owners starting an online business in the retail industry have to consider many aspects before their start-up takes off. Things like capital, marketing expenses, financial expenses, branding, logistics, operations, and customer service are just a few of the critical components of a business. Entrepreneurs must also determine whether or not they need a business license before they launch their online store. Having to obtain a business license for an online store to sell your product online depends on which state you are in. Every state in the US has different rules and regulations related to an online start-up. Before investing your precious capital on your business, check with the local authorities about the permits and licenses needed for your business operations. Having licenses and permits will avoid future hassles for your business. The licensing rules for starting an online business vary from state to state and city to city in the U.S. Let us take the example of Los Angeles, California. The law in Los Angeles requires online start-ups to file for a Doing Business As (DBA). The second requirement is that the company must have a resale permit. Businesses in Los Angeles are required to announce their DBA in newspapers at least four weeks before selling any products. If you happen to move your business from the LA to another county in California, the address must be changed accordingly. It’s essential that the company send new details and taxes to the state as soon as all of the details are provided. The new county will get in touch and request you to file a license for your company. A business license for an online store will facilitate the start-up owners. The Small Business Administration (SBA) has created a comprehensive list that includes state license offices. The offices will guide business owners about the different licenses and permits that an online retailer would need. The permits and licenses depend on the location of your business and operations. The following licenses are commonly required for online retailing in the U.S.
An Online business that are runs from a home or office that is located on a residential block must have a “home occupation permit.” The permits are shaped to prevent businesses from adding noise, disturbance, littering, dust, and odors. Almost all businesses in the US are required to obtain a business license for an online store. A business license is required for home-based businesses. If your company does not have regular deliveries or pickups and does not rely on maintaining a more extensive inventory daily, then it will be easier to get a license. Larger online stores are required to submit detailed transactions. For more prominent online retailers, zoning department permits could be applicable. It could be essential if delivery and pickup trucks show up at the location more frequently. Every state in the US requires a business license for an online store. The permits and registration documents allow the government to track the required taxes. The tax requirement is a must for any business. It’s always essential to keep your license updated when it is about to expire to avoid legal issues. The permits and regulations above apply to online businesses. For example, an online business that will hire employees must register the business with the Worker’s Compensation and Unemployment Departments. Zoning permits are probably not applicable to online business, but it could be required if shipments move to and from a residential home. The sales tax rules are somewhat complex when they are designed for an online business. The sales tax on online sales is not clear. The classification of sales tax on online transactions requires information collection and discussion with an accountant or bookkeeper. 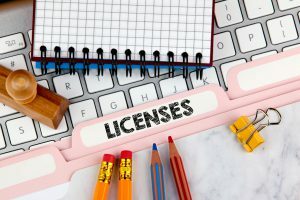 When starting an online business, it is always important to check with your local authorities about the different permits needed to conduct your business. These licenses, in the end, will allow you to run your business without worrying about a shutdown. It’s essential to get a business license for your online store, even if your state and county jurisdiction do not require it. Having a proper permit and license for your company will make it legitimate and completely safe. https://www.completecontroller.com/wp-content/uploads/cclogo_main-long-300x63.png 0 0 Complete Controller https://www.completecontroller.com/wp-content/uploads/cclogo_main-long-300x63.png Complete Controller2019-02-06 12:09:312019-02-08 10:55:53Do I Need a Business License for an Online Store?